Since so many homeowners have busy schedules yet still want attractive and maintained landscapes, they call Sullivan’s. With the coming and going to the day-care provider, grocery store, evening classes and delayed commutes, there is reduced time to weed the garden and install new plants. 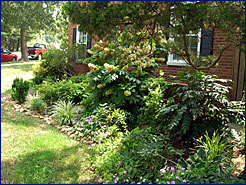 Keep in mind low-maintenance landscaping demands some attention. 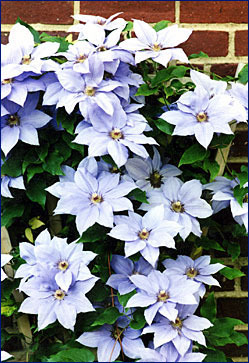 All plants need water and at least once a year, need pruning. Mulching is suggested twice a year and leaf removal is completed in late fall or early winter. We will install your low-maintenance garden but you’ll need to call us twice a year to maintain an attractive and healthy environment for your plants. Sometimes, plants die due to lack of water, light, minerals from the soil, disease or natural causes. Look around next time you’re parked at a long red light. You’ll notice a line of trees, all thriving except for the brown one in the middle. That tree might have been stressed where it was grown on a farm in the northwest or along the Atlantic coast. Maybe it sustained an airborne pathogen during its cross-country transit. Or maybe it wasn’t watered properly when it arrived at the local nursery. Whatever the case, it needs to be removed and another one installed. Sometimes, a shrub needs to be repotted, like people. Many times a transplant thrives. Reasons for stressed plantings—limited sun, packed soil, no water, poor drainage or invasive plant neighbors. In short, low maintenance does not mean any maintenance. But low maintenance does mean limited time outside. When duty calls for your landscape, call Sullivan’s. Sullivan’s offers maintenance schedules. We will prune (timing depends on plant), remove leaves, mulch, weed and define the edges of your garden beds to create distinct definition between beds and the lawn. We don’t use pesticides. Spray is hard to contain in high wind and runoff. Pesticides may be essential in the farming industry but not in landscaping. We bag (opaque, heavy duty unless a jurisdiction requires another type) debris from a clean-up and for sanitation department appeal, place bags at the curb the evening before city/county pickup. When there’s a need to transport heavy-duty material (tree stumps, wood, brick or block, iron or steel and garden ornaments), we retain a hauling contractor for an additional fee.